Feynman also suggested that this slowdown could be avoided by using a computer running according to the laws of quantum physics. 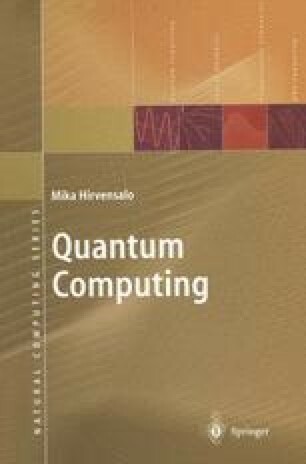 This idea suggests, at least implicitly, that a quantum computer could operate exponentially faster than a deterministic classical one. In , Feynman also addressed the problem of simulating a quantum physical system with a probabilistic computer but due to interference phenomena, it appears to be a difficult problem.